Full Video of Maritime TV 2016 Commencement Ceremony Webcast Will Now be Available as a DVD. Order Your Copy Now and Show Your Support for the USMMA Class of 2016 - Free Shipping After the Event! Clay Maitland, Chairman of the Merchant Marine Policy Coalition, Salutes the Class of 2016! 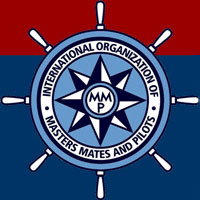 KINGS POINT, N.Y. - On Saturday, June 18, at 10:00 a.m., 229 future Merchant Marine and Military Officers will graduate from the U.S. Merchant Marine Academy. The Commander, U.S. Transportation Command, Gen. Darren W. McDew, has been chosen as their keynote speaker. Saturday, June 18, at 10:00 a.m.
Media may park at the Admissions Building. Check-in at tent near O’Hara Hall. Superintendent, Rear Adm. James A. Helis, USMS, Ph.D.
Interim Academic Dean, Capt. David J. Palmer, USMS, Ph.D.
Class President: Benjamin Morris, Hometown: Panama City, Fla.
Valedictorian: Thomas Kloepfer, Hometown: Amityville, N.Y. The U.S. Merchant Marine Academy, located in Kings Point, N.Y, educates and graduates licensed merchant mariners and leaders of exemplary character who will serve America’s marine transportation and defense needs in peace and war. The U.S. 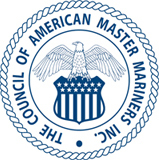 Merchant Marine is administered by the Maritime Administration under the auspices of the Department of Transportation. Social Media - Please follow the AAF Facebook and Twitter pages for timely information on graduation activities, news, events and other important information.